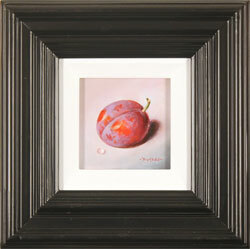 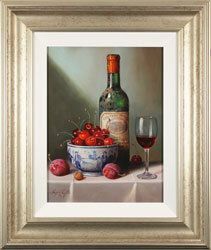 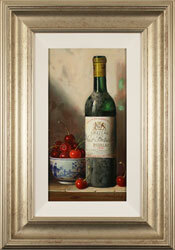 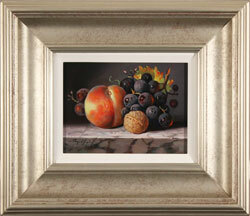 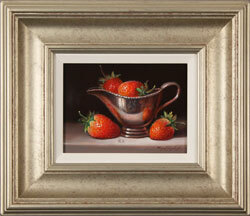 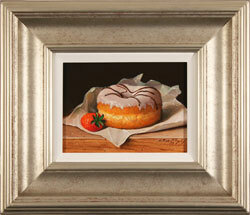 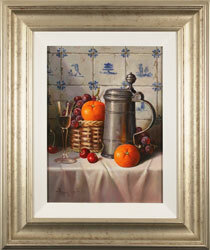 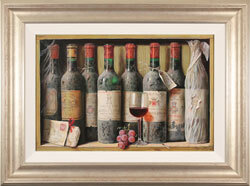 Four-time Royal Academy of Arts exhibitor Raymond Campbell is one of the country’s leading still life artists. 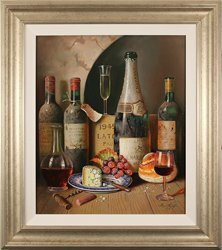 Full of fascination and indulgence, Campbell’s paintings have revived the still life genre and brought it elegantly into the 21st century. 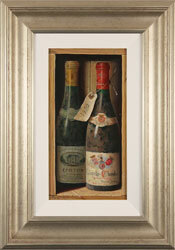 Initially turning down the chance of formal training at art school, Campbell’s notable talent led him to become a full-time professional artist at the age of twenty-two. 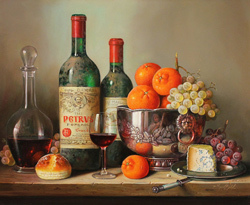 Before starting his career as a professional artist, he travelled throughout Europe to study the paintings and techniques of the Old Masters. 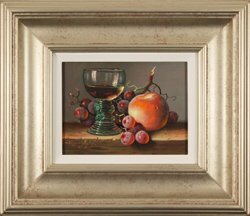 Of all the paintings he encountered, it was the still lifes of the 17th Century Dutch painters that captivated and inspired Campbell the most. 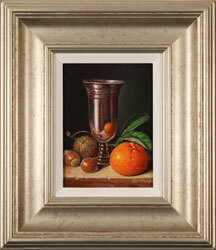 The influence of these 17th century Dutch paintings has remained deeply rooted in Raymond Campbell’s decade-spanning body of still life work; curious paraphernalia arrangements reminiscent of the traditional banquet and vanitas paintings of the 17th century have become his signature. 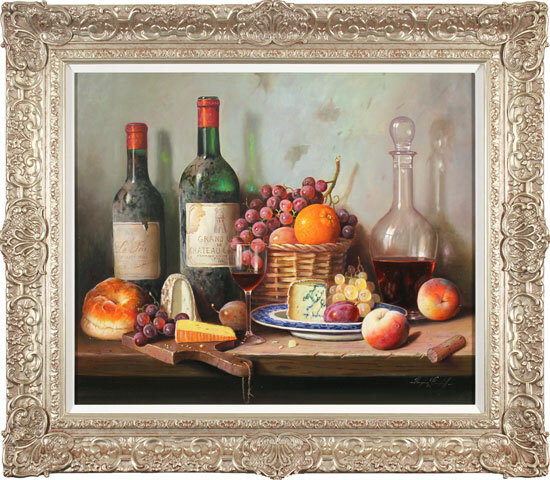 These luxurious tableaux brim with detailed precision and classically “Campbell-esque” contents, including vintage wine bottles, ripe fruits and rich cheeses. 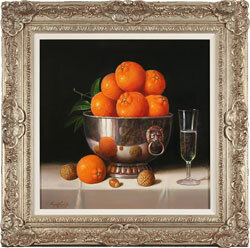 Combined with Campbell’s natural finesse, these subjects are deliciously brought to life in paintings that envelop viewers in a full sensory experience. 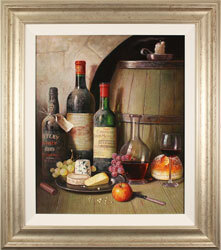 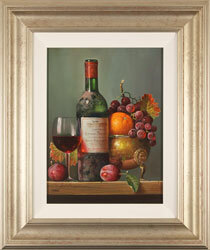 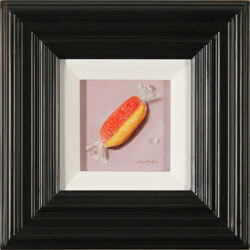 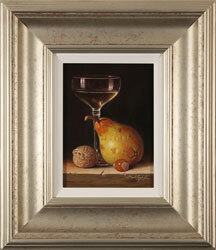 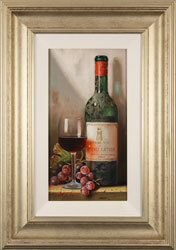 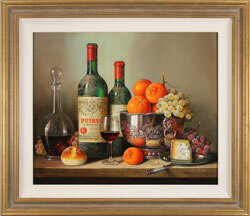 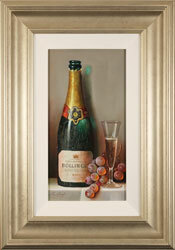 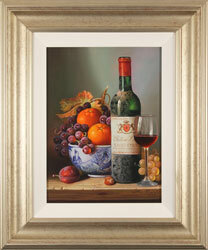 A paragon of contemporary still life painting, Raymond Campbell has found international success throughout his career. 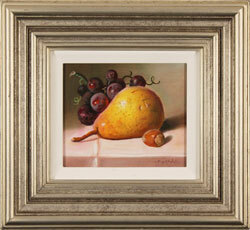 He is a published artist, with many of his original paintings available as both limited edition and open edition prints. 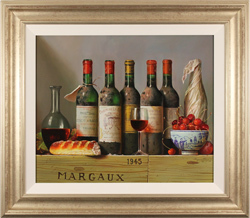 His work has been exhibited at the Mall Galleries and at the Royal Academy’s prestigious annual Summer Exhibition in 1992, 1993, 2013 and 2014. 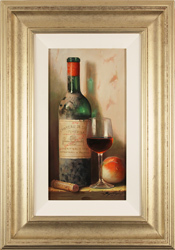 He has also exhibited at The Mall Galleries, London and his work can be found in many international private collections, including the USA, Australia and across Europe. 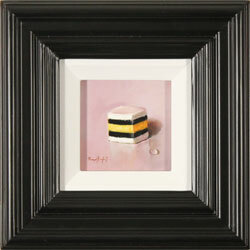 Please note that all Raymond Campbell art listed in this section has previously been displayed for sale and is not currently available.